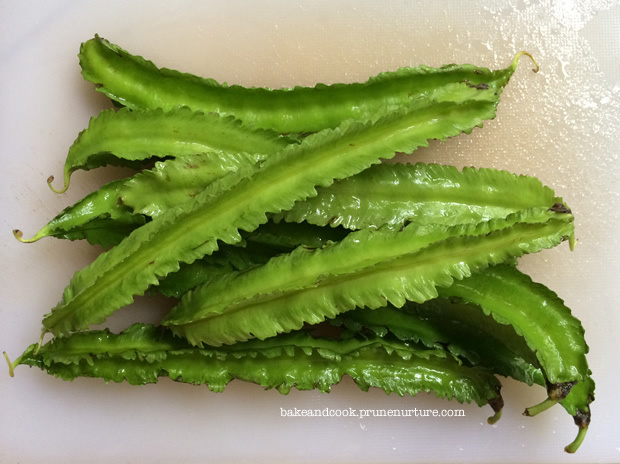 Winged beans – also known as asparagus bean, Goa bean, princess pea or the four-angle bean – are very rich in nutrients. They are rich in Vitamin A and C, include Vitamin B and E and essential minerals like iron, manganese, copper, calcium, phosphorous and magnesium. It is a good plant-protein source for vegetarian or vegan, and an excellent folate source for women trying to conceive and pregnant women. 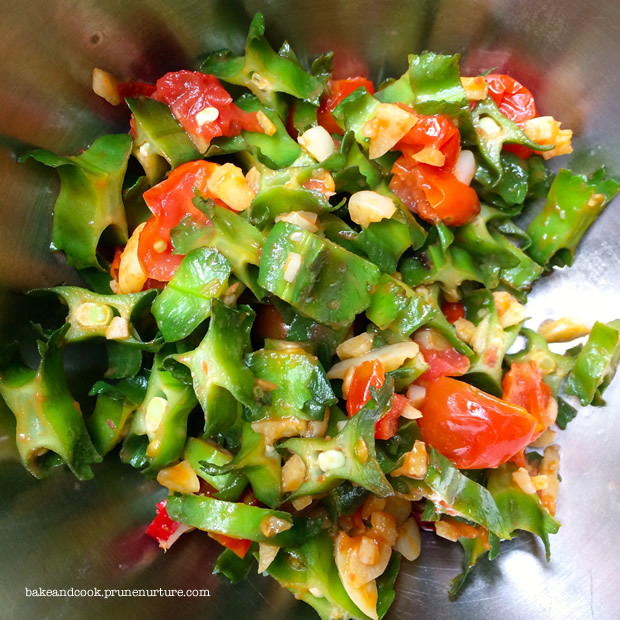 I like these beans for the mild taste and crunch when cooked just right. I like them a little spicy so I have to separate my portion and my girl’s if I want to add some chilli padi. These beans can be easily found at local supermarkets, and they are inexpensive. They are very easy to wash and prepare. This is a quick, delicious and healthy dish that takes less than 30 minutes to prepare and cook. 1. Add coconut oil and sautee the onion, garlic, tomato for 1 minutes. 2. Add four-angle beans and cook for 5-7 minutes. 5. Ready to be served. 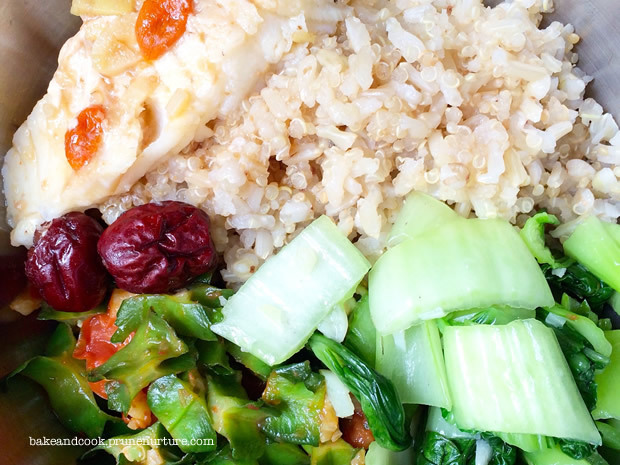 My lunch and my 5-year-old daughter’s – mixed grains (brown rice, quinoa, buckwheat), steamed cod fish, asian greens and four-angle beans. Satisfied.